In the early amniote gastrula, the heart progenitor cells are localized in two small patches, each on the epiblast close to the rostral portion of the primitive streak. 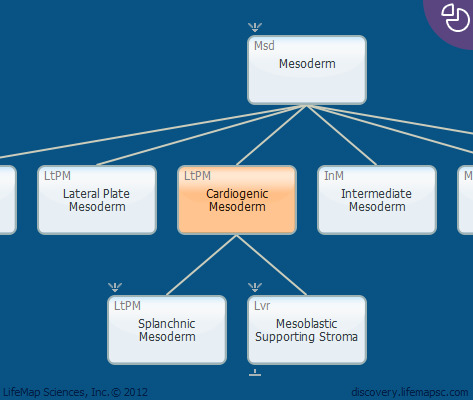 After ingression of the cardiogenic mesoderm through the primitive streak, these cells rapidly move laterally and cranially until they assume residence in the lateral plate mesoderm. The heart founders, located bilaterally in the anterior lateral plate mesoderm, are known as the cardiogenic fields.